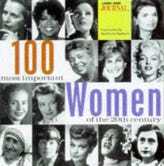 Eight-year-old Stella Ehrhart decides what to wear each day by looking through her book, 100 Most Important Women of the 20th Century, and picking a different notable female historical figure. "We'd have to get on the computer and figure out who she was," said her second-grade teacher, Shannon Roeder, who keeps a picture of an overtly costumed Stella (it was Halloween) hanging in her classroom. In the picture, Stella poses in front of Roeder's bumper-sticker-plastered Prius, its license plate reading "ENDWAR," wearing a cardboard car cutout also plastered in bumper stickers, with the same vanity plate. Stella's costumes prompt classroom discussion, some copycatting and further creativity. When she dressed as Rosa Parks, she and her classmates devised a play and designated different people as the bus driver and other bus passengers. Her teachers don't mind — "There are times I even forget," one said. "It's not an attention-getter ‘Look at me.'" — and Stella's classmates don't think she's a freak. "Ummm, Laura Ingalls Wilder," one girl said of her favorite Stella costume. "She wore, like, these shoes that were black and white. She wore, like, this dress with leggings. It's kind of cool. I might do it next year."